Andrews McMeel Publishing, 9781449410940, 232pp. 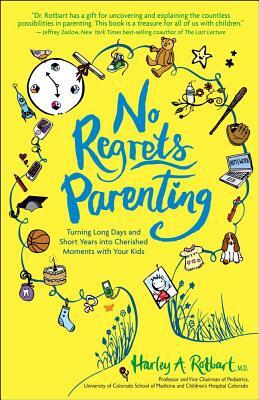 "Dr. Rotbart has a gift for uncovering and explaining the countless possibilities in parenting. This book is a treasure for all of us with children." --Jeffrey Zaslow, New York Times bestselling coauthor of The Last Lecture, Moving On Columnist, The Wall Street Journal. --Harvey Karp, MD, creator of the bestselling books and DVDs The Happiest Baby on the Block and The Happiest Toddler on the Block. “From school to work, home to play, Dr. Rotbart helps famiies find meaning and traditions in the midst of busy lives.